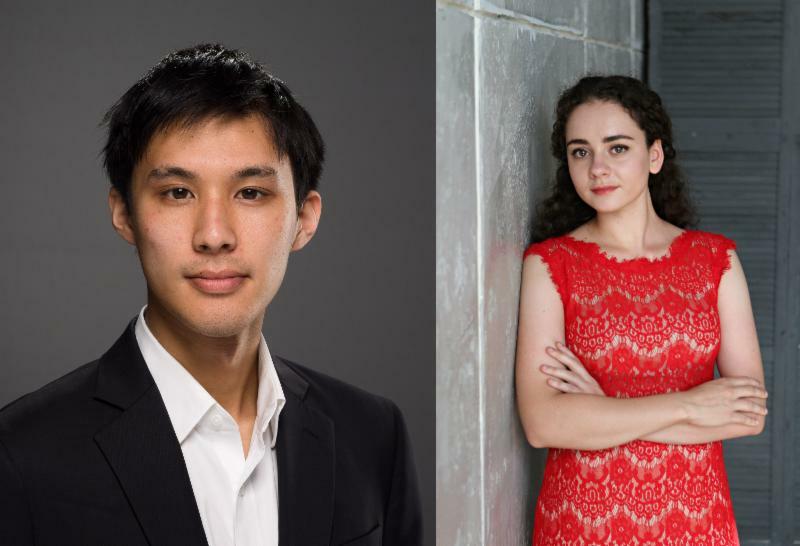 The Southeastern Piano Festival is delighted to announce 2019 Guest Artists Marc-André Hamelin, Yoheved Kaplinsky, Jon Nakamatsu, the piano duo of Alessio Bax and Lucille Chung, Alan Chow, and Conrad Tao. Taking place June 16-23 on campus of the University of South Carolina and other concert venues in Columbia, SC, the festival serves a dual mission, to present world-renown pianists to audience across South Carolina and beyond and to provide a training platform for twenty of the most gifted pre-college pianists from across the United States. Presenting evening concerts are Marc-André Hamelin, known worldwide for his consummate musicianship and brilliant technique in the great works of the piano repertoire; Jon Nakamatsu, an international artist known for the excitement and elegance of his solo, concerto, and chamber performances; the piano duo of Alessio Bax and Lucille Chung, whose careers as solo and duo pianists have taken them around the world; and pianist/composer Conrad Tao, dubbed a musician of “probing intellect and open-hearted vision” by the New York Times. “We are thrilled to present world-class guest artists to audiences across the Southeast and the 2019 festival promises be an incredible week of music.”, says Artistic Director Joseph Rackers. “These wonderful musicians bring virtuosity, artistry and insight to their performances and are sure to inspire audiences and students alike”. Masterclasses will be presented by Yoheved Kaplinsky, Chair of the Piano Department at the Juilliard School in New York; Alan Chow, who has won First Prize in the Concert Artists Guild International Competition and is professor piano at the Eastman School of Music; and Raymond Herbert, former Chair of the piano department at the University of Missouri and teacher of prizewinning students across the country. The festival culminates with the Arthur Fraser International Piano Competition on June 21, 2019. For more information, please visit our website, or browse our Facebook or Instagram pages. To watch performances from previous Southeastern Piano Festival guest artists and competitors, visit our Youtube page. The week of the piano festival always goes by too fast and before we know it, it’s time for the participants to showcase their talents and skills in the Arthur Fraser International Piano Competition. As in years past, it will be streamed live on Friday – just visit our SEPF Youtube page. Below is the order and times of the performances for the participants. Their names and repertoire will be displayed on the stream. Southeastern Piano Festival wishes all participants best of luck in their preparations and performances. We are all looking forward to hearing you perform! KonZert KidZ, an initiative begun in summer of 2016, became a full-fledged movement over the past two years with over 300 children and adults attending concerts at the Southeastern Piano Festival and during regular concert seasons, with free tickets for kids and reduced ticket prices for adults. Designed to attract young audiences to concert halls, KonZert KidZ gives children the foundation for a life-long appreciation of the concert experience. The program is back this June for the Southeastern Piano Festival, June 17-23, with family-friendly concerts, all week long. Receive one HALF-OFF adult ticket when you register 2 children under 18 to each concert and one FREE adult ticket when you sign up three children to attend an event. To claim your tickets, visit the Will Call table before each performance and present the confirmation email you receive after registering. After the concert, be sure to get your free certificate or collect another star at the merchandise table! In a week that transforms Columbia into an international piano center, become a KonZert Kid at this year’s piano festival! The 2018 Southeastern Piano Festival kicks-off with five pianos on stage featuring SEPF faculty Marina Lomazov, Joseph Rackers, Charles Fugo, and Philip Bush, festival alumni Aleksandra Kasman, Hugo Kitano, Vanessa Haynes and special guests. Children will be invited to join us on stage afterwards. Russian-American composer and concert pianist Lera Auerbach is one of today’s most sought after and exciting creative voices, and has published more than 100 works for opera, ballet, orchestra, and chamber music. Winner of the 2011 Louis Sudler Prize in the Arts from Harvard University, Albright was also named Artist-in-Residence for Harvard University’s Leverett House, a position last filled by cellist Yo-Yo Ma. An afternoon concert filled with piano masterpieces. Free! Mr. Pompa-Baldi appears regularly at the world’s major concert venues including New York’s Carnegie Hall, Paris’ Salle Pleyel, Milan’s Sala Verdi, Shanghai’s Grand Theatre, and Boston’s Symphony Hall. The 2018 Southeastern Piano Festival kicks-off on Sunday, June 17 at 4:00 PM, with five pianos on stage featuring SEPF faculty Marina Lomazov, Joseph Rackers, Charles Fugo, and Philip Bush, festival alumni Aleksandra Kasman and Hugo Kitano and special guests at the Johnson Performance Hall, Moore School of Business, University of South Carolina. Monday, June 18, 7:30 PM, School of Music Recital Hall, Lera Auerbach premieres her new work for piano solo inspired by the Pictures at an Exhibition, followed by the Mussorgsky masterpiece itself. This concert throws a spotlight on how the visual and music art forms influence and affect one another. On Tuesday, June 19, 7:30 PM, School of Music Recital Hall, Charlie Albright, the winner of the 2011 Louis Sudler Prize in the Arts from Harvard University will perform works by Chopin, as well as his own compositions and improvisations. At the Episcopal Trinity Cathedral on Wednesday, June 20, 7:30 PM, Silver Medalist of Van Cliburn Int’l Piano Competition, Antonio Pompa-Baldi presents a brilliant display of rare gems by Chopin, Medtner, Rubinstein, Poulenc, and new works inspired by Edith Piaf songs. Simone Dinnerstein will be presenting Bach’s towering masterpiece, the Goldberg Variations, on Thursday, June 21, 7:30 pm at the Johnson Performance Hall, Darla Moore School of Music. Another not to be missed concert, the Featured Alumni Showcase, will take place on Wednesday, June 20, 4:30 PM, at the School of Music Recital Hall. Aleksandra Kasman and Hugo Kitano will share an afternoon concert filled with piano masterpieces. This concert will be free of charge! The Arthur Fraser International Piano Competition will take place on Friday, June 22, 10:00am-9:00pm, at the School of Music Recital Hall. The jury includes John Perry, chair, Simone Dinnerstein, Morihiko Nakahara, Antonio Pampa-Baldi and Sasha Starcevich. The competition will culminate with a Winners Recital on Saturday, June 23, 7:30 PM, where the final performances of the festival and the awards presentation to the winners will take place. Tickets for this exciting line-up of concerts can be bought here. For more information about our concert schedule, visit our website. With a line-up that includes evening concerts, masterclasses, and lectures by some of the finest pianists across the country, the 2018 Southeastern Piano Festival promises to be the most exciting and exhilarating one to date! Guest artists and faculty for 2018 include Charlie Albright, Simone Dinnerstein, Lera Auerbach, Rebecca Penneys, Sasha Starcevich, Antonio Pompa-Baldi, John Perry, Charles Fugo, Philip Bush, and Marina Lomazov and Joseph Rackers who are the artistic directors of the festival. Prizes for the Arthur Fraser International Piano Competition include a $5000 First Prize and the opportunity to perform a concerto with the South Carolina Philharmonic. The festival, which takes place June 17-23, holds a special place in the South Carolina musical and cultural community. The festival provides an opportunity for pre-college students to perform, learn, network, and most importantly become part of a large family which holds the best interests of its participants to a very high standard. The festival has become a platform for many aspiring performers and has enhanced the study and careers of many competitors and participants, including Daniel Szefer. “Rarely does one get to attend a festival so intense and immersive like the Southeastern Piano Festival. Not only do you get to hear excellent musicians every night, you also get to interact with other very passionate young pianists. I will never forget Sergei Babayan’s masterful performance of Bach’s first volume of Preludes and Fugues. The whole experience of the Festival was extremely inspiring and motivated me to continue onward towards music and further develop my craft as a pianist and musician.” says Szefer. In June 2016, Szefer was a top prizewinner at the Arthur Fraser International Piano Competition. In the same month he was offered scholarship and admission to the Advanced Performance Program at the Mount Royal University Conservatory in Calgary, CA. In July 2017, he was a finalist and prize winner of the international “Prix Orford Musique” in Quebec, Canada. David Hou, the first-prize winner in 2016 later became a semifinalist in the 2016 Cooper International Piano Competition, and a contestant in the 2017 International E-Competition. Apply now to become a part of the wonderfully diverse and special Southeastern Piano Festival family! For more information, please visit our website. You can also follow the festival on Facebook, Instagram and Twitter.